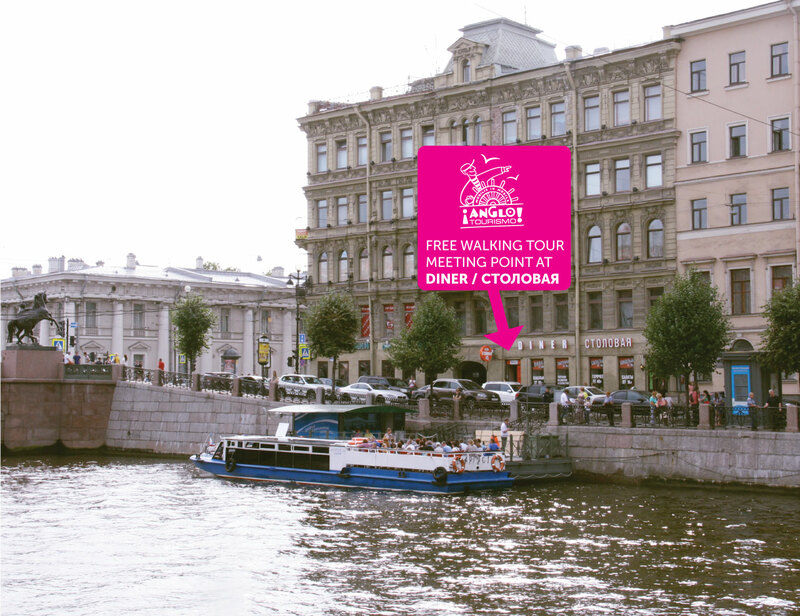 Designed to let an independent traveler be as flexible as possible while visiting St. Petersburg, the Free Daily Walking Tour aims at helping our guests familiarize themselves with most important sites and attractions in the historical centre, build up itineraries for further independent walks and offers a local’s insight into the numerous practical issues first timers have to deal with in a new city. This tour runs with commentary in English. For other languages check out our Tour a pie gratis en Español. Besides, you are always welcome to suggest visiting a particular site or covering a particular subject or area you are interested in, provided it does not require a serious detour and other tour-takers are happy with the change of itinerary (which they, normally, are). Just tell your guide and they’ll do their best! 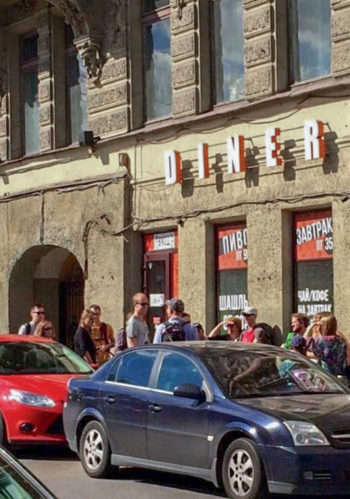 What can make a free walking tour a great one? The answer is very simple. Our guides are not just a bunch of volunteers, but professional city experts, members of Anglotourismo team, who run our regular canal and river cruises. Eager to feel hard ground under their feet once in a while they'll come out of the way to share their knowledge and enthusiasm with our visitors on this informative and interactive walking tour. In fact, they all took part in designing this tour that makes it a perfect selection of the top sites and stories Anglotourismo has to offer! It is a free tour, so you don't have to pay for it. It runs daily rain or shine regardless of the number of participants. Nevertheless, please, note that the guides do not get any compensation for this particular job either from our company or any other sponsor and they run the tour on tips-only basis. Be assured that none of them will be pushing it, but a relevant tip would be very much appreciated as long as you feel the service you received was worth it. 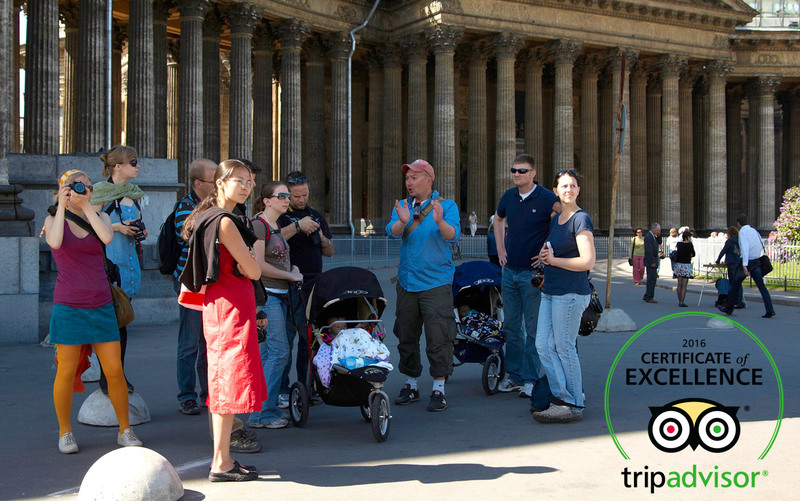 No booking is required for this tour, so just turn up at the meeting point a few minutes before it starts, meet your guide and hit the road! 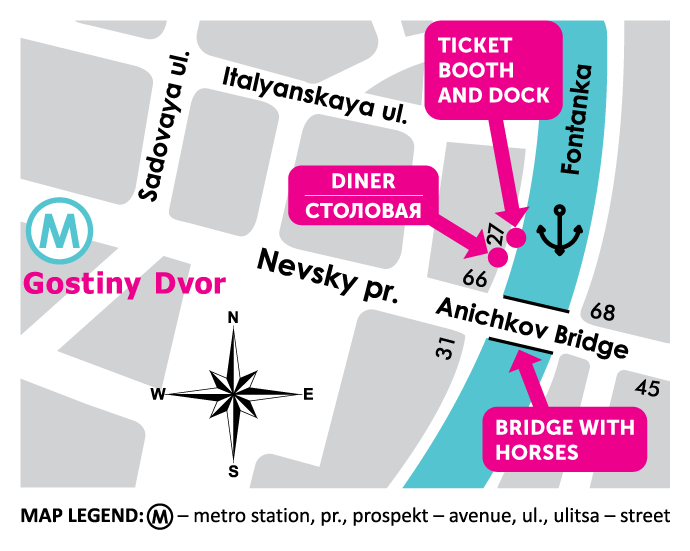 Diner (Столовая) at 27 Nab. Reki Fontanki, right next to our boats dock (look it up on Google maps). Meet under the sign (on the photo) or inside if it's raining. Want to have all the info with you while walking around St Pete? Download our PDF booklet, print it out and take it with you!